For the past three years, I have made a point of conducting instructional walks in classrooms on a regular basis. The purpose of my walks is to provide feedback for the teacher about their practice, as well as to get a sense of the overall instructional level of the school. I’ve tried a number of iPad applications and styluses in which to conduct these walks. For a while I used Notability with a basic stylus. I liked both tools, but found the uploading of my observations to Dropbox to be cumbersome and inefficient. Plus, I had to print off my observational notes and hand them to the teacher afterward. The next iteration was to purchase an Evernote Jot Script stylus and start using the handwriting application Penultimate. This solved the syncing issues, as Penultimate is an Evernote product. What I wrote in that app automatically uploaded into the teacher’s notebook within Evernote. I could now email my digital observation directly to the teacher. But something was missing. After surveying my staff, I realized that it wasn’t that something was missing. It was that I had added too much to the process. First, there was the tallies I kept. In between writing observational notes, I would also mark where instruction was at on the minute, in accordance with the gradual release of responsibility. Our school has adhered to the Optimal Learning Model, an update by Regie Routman of the gradual release of responsibility, as our instructional framework. I would note how often teaching and learning was occurring along the demonstration-shared demonstration-guided practice-independent practice continuum. Then I would take that data and upload into a spreadsheet, which provided an output of our levels of instruction. Very techy! I could quickly see where we were at in our collective instruction. At least I thought I could. What the survey revealed was that I was only catching small snippets of instruction. Plus, I was not intentional enough about coming in at different times of the school days. Both true. This numerical feedback helped me, but not the teachers. Second, I found out that teachers really appreciated having a paper copy of my informal observations. It’s not that they didn’t mind receiving a digital copy of my notes. 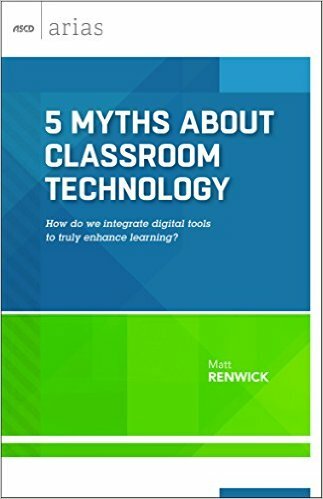 In fact, some of my teachers actually wanted an electronic version so they could save them online as future artifacts and examples of strong instruction. But there is just something about having that immediate feedback, written out on paper, that made my visits more concrete and tangible. Because my instructional walks are strengths-based and not evaluative in nature, they could physically come back to these notes, reread what I noticed, and take pride in the quality education they provide for their students. This is why I have come back to a paper-based and unformated process for my informal and unannounced instructional walks. I still observe instruction through the tenets of the Optimal Learning Model, but within a more holistic view of teaching and learning. In addition, I have a ruled notebook on which I write my observations, ten minutes at a time. I tear out the paper copy of my notes and leave it on the teacher’s desk. If the opportunity arises, I’ll have a brief chat with them about what I saw and appreciated. If not, I catch up with them later. The power of technology can have a firm grasp on how we conduct business, even when it is not always helpful. Case in point: I have played with a Livescribe pen that transcribes my writing onto an associated app which I can save to the teacher’s Evernote notebook within my account. A nice tool, but even this has some minor challenges. After writing an observation, I have to go into the Livescribe app and upload the note into Evernote. The pen allows me to record audio connected with my writing, which is really helpful when talking to a student about what they are learning and why it is important to them. But I can do the same thing with Evernote, by just hitting the record button on my iPhone or iPad, and then scanning my paper notes into the same note that contains the audio before sharing it out. This is why I ordered several Moleskine notebooks for my future walkthroughs. The kind that I can tear out without a lot of noise, that I can easily scan into Evernote and hand to the teacher in a manner that doesn’t disrupt instruction. Technology has taken a back seat to the process, enhancing it instead of leading it. I don’t know if I would have come to this conclusion if I had not asked my faculty for input about this process and how it benefits their instruction. Without their feedback, I may have tried to fix a communication problem caused by technology with more or different technology, instead of questioning whether I needed technology in the first place. Sounds like a perfect combination. We, the tech geeks, can get lost in the apps – yet many still prefer other methods of communication. And we know – it isn’t about the tech. Its about the situation. Gather input from staff is so important. No one wants a top down thing. The more input they have in the process – the better it will be received. Excited for your book, my friend! Having input seems to help Kathy. It builds trust in the process, which leads to better teacher-administrator relationships through my frequent visits. Thanks for commenting! This comment affirms my decision to keep the focus on the feedback process and only use technology when necessary. AWESOME POST! I love it! I shared with Leah yesterday your advice about being intentional about the number of things you write down in each observation. She was floored! She had collected 50+ pieces of evidence in some observations and then had to tag them all. I’m going to make sure she reads this too! Ugh – tagging. It’s fine for evaluations, but I don’t believe these summative assessments facilitated by the state are going to improve instruction. It is the frequent and formative feedback, positive and constructive in nature, that will help with professional growth in teachers, as well as with me. I was in a classroom yesterday that was next to the lunchroom. Just being in there, I realized that the noise from the cafeteria was disrupting instruction. I went next door, got the kids to quiet down, and came back to a classroom more conducive to learning. I never would have realized this had I not been in the classroom! And if I was focused on evaluating instruction instead of appreciating instruction, I might have dismissed the noise next door. When teacher and principal are partners in learning, we all own the outcomes and want to see success. Missy, you and Leah are welcome to come up and observe our instructional walk process. It largely resembles what Regie Routman describes in Chapter 5 of Read, Write, Lead. Have you thought about Wacom’s Bamboo spark? It is an ink pen that also digitizes whatever you write onto any paper. It is expensive, though ($150). I think it is far simpler to just write on paper and then use Evernote’s Scannable app to make an electronic capture. I have not heard of the Bamboo Spark. It looks like a nice tool. 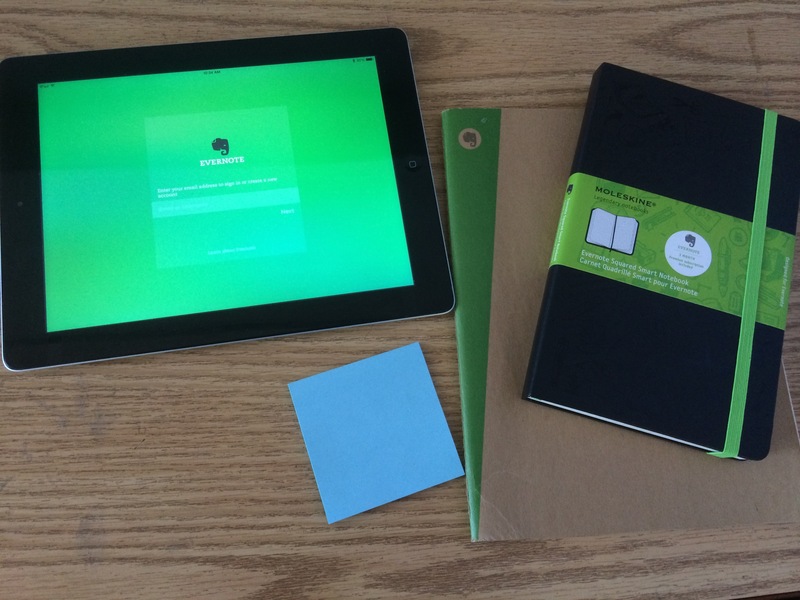 Probably not for instructional walks, but maybe helpful for digitizing meeting notes.